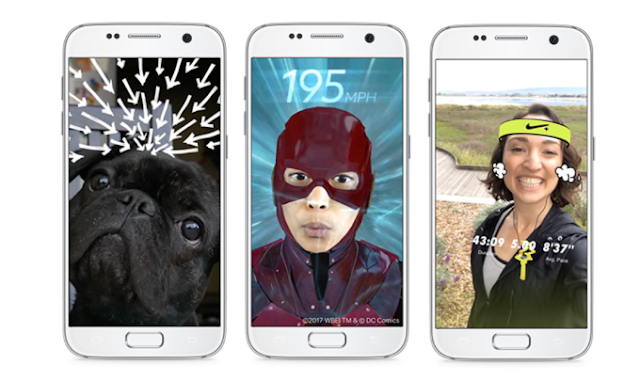 Facebook is currently testing its Camera AR Effect using location markers in the real world that trigger AR experiences in a precise location, with promotions for the upcoming Ready Player One and Wrinkle In Time films. While the Facebook AR Camera’s Ready Player One effect takes one of the movie’s posters and overlays a window in the virtual Oasis world. It plans to bring the tracker-based AR to its AR Studio tool which is open to all developers. The company launched its AR Camera Effects platform and AR Studio just less than a year ago at F8, but hitherto it hasn’t made a ton of progress, other than opening AR Studio to all developers back in December. As Facebook opens the marker-based AR to its AR Studio tool, developers worldwide could start creating experiences tied to physical locations. The AR markers could offer a much wider range of AR content that users would actually know where it is in the real world. Unlike the markerless AR, whereby users have to spontaneously think to use Facebook’s Camera, the markers can act as promotional reminders that there’s invisible content waiting to be unlocked. And it is much more powerful because the AR now has immediate context as it is directly tied to a place or target familiar to everyone. Facebook confirmed that the testing is still in closed beta, and that the AR camera is evolving beyond selfie masks and randomly placed 3D objects to using location markers in the real world that trigger AR experiences in a precise location.